It’s Mother’s Day this weekend and Mom is on my mind. 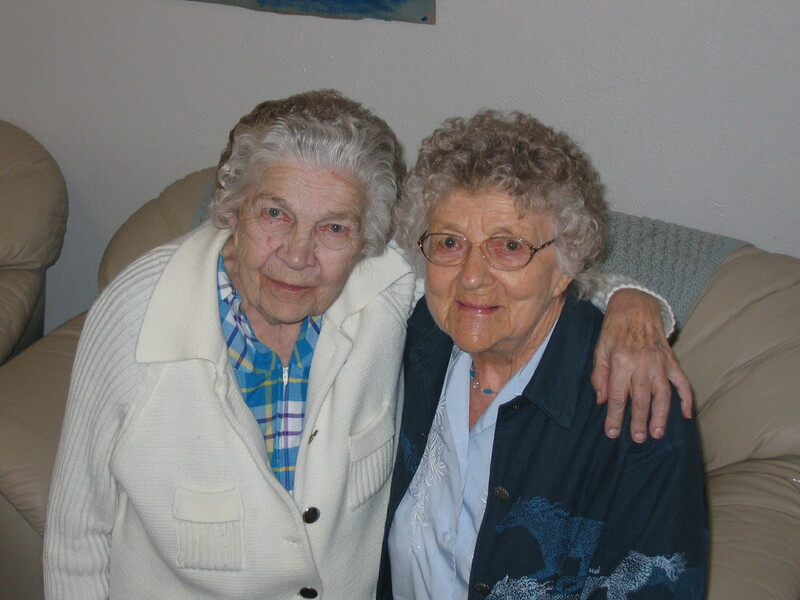 Born on April 7, 1915, Mom was one of seven children born to Swedish immigrants, Nels Baxstrom and Anna Johnson, who met in Minnesota and farmed in North Dakota as they raised their family. All seven children – Clarence, Ruth, Vernon, Glenn, Elma, Ida and Emil – at some time attended Belleview schools in Westminster, Colorado, where Ida met Charles Ralph Friedly, my Dad. I am the second oldest of Ralph and Ida’s eight children: Barbara (passed away in 1984), Ralph, Elaine, Robert, Charles, Richard, Glenn and Stanley. I remember Mom for her love, patience, generosity, kindness, faith and love of music, which all of her children have exhibited in their own lives to a greater or lesser degree. Mom always demonstrated an absolutely unconditional love for each one of us. No matter what mistakes we made, what feelings we hurt, what promises we broke, we could count on Mom’s love. Mom approved of her kids no matter what. It’s not that she was in denial about our shortcomings, but she always had confidence that we could right our wrongs and make good on our mistakes. Mom had patience as well, maybe to a fault. She put up with an awful lot from many of us, particularly me. It must have saddened her incredibly but I remember once when I was playing Little Richard rather loudly, she lost her temper and asserted that this was likely the kind of music they had in hell. My response was, “Well if this is what they play in hell, that’s where I want to go”. I am sure my siblings would have many stories to tell about Mom’s patience much more illustrative than mine. Mom drinking her coffee in the morning. Like most Swedes , Mom was a dedicated coffee drinker and never missed that morning cup of coffee. The dominant image in my mind is of Mom sitting on the radiator at our Morningside house in the winter, drinking her coffee and trying to keep warm. Canning fruits and vegetables in the summer, drenched in perspiration with a big copper kettle full of Mason jars of vegetables boiling on the coal fired stove. The smell of Vicks, which Mom caringly rubbed on our chests when we had a cold or the flu. It was not only the smell, but the loving feeling of her rubbing it on my chest that I remember so well. Mom lying on her bed with her legs up to relieve the pain of her varicose veins. Mom always had this problem and later had surgery to help alleviate the condition, but being on her feet all day caring for us must have produced unbearable pain. Sewing dresses for Barb and Elaine on her old Singer pedal sewing machine out of the beautifully designed and printed cotton sacks of Purina chicken feed we used to buy. Mom’s pride and relief in finally getting an automatic washing machine, a Whirlpool, making it so much easier to keep up with the diaper and clothes washing requirements of this family of ten. Her additional pride and relief in getting finally a deep freeze, so that the vegetables formerly canned in Mason jars could simply be blanched and frozen in plastic bags, along with the peaches and berries frozen instead of canned. Mom’s care for us when sick. I remember especially when she had to scrounge the cash to buy penicillin for us when sick with a serious infection. And these expenses came from mostly from her own funds, saved from selling eggs or chickens. Mom having most of her babies at home – the suspense, the waiting, the presence of Miss Sturma, the midwife, the occasional visit by Dr. Edelberg if there were problems, the preparation and disposition of mysterious materials needed for the birth. I used to think after eight children, that the births were easy for Mom. But they were not as I later found out. She suffered terribly with several, almost died from one. Her dream, shattered for sure, of Rob and I becoming the new Billy Graham and Tedd Smith – Rob with his prodigious talent on the piano pounding out hymns while I preached hellfire and damnation sermons. Mom never getting over Barbara’s passing. Barb, her oldest child and our oldest sister died sadly at the age of 46. Any time a child dies before the parent, upsetting the natural order of events, it is a terrible experience for the parent. Mom always became serious, thoughtful, sad and teary when the subject of Barbara’s passing came up. In later years, picking through shelves and cupboards of different vitamins to find something to correct what ailed you. Mom was a great believer in vitamin and mineral supplements and behaved a bit like a doctor in her selection and administration of each. “Upset stomach? Take this. Headaches? Take some of these. Constipated? Here’s what you need. Aching muscles? This will take care of that problem.” I used to be astonished at the quantity of vitamins and minerals she kept on hand and thought that they might be bad for her. But…she lived a really long life and maybe the vitamins helped. Mom listening to youngest son Stan on the radio. Stan worked a long time for the church radio station KPOF and did a great job announcing for the station, doing news and music programs. Mom used to always tune in when she knew Stan was on and beam with pride listening to him. In later years Mom needed the help of an oxygen tank. I can remember entering the house and wondering where Mom was and then by following the oxygen tubes, I would know if she was in her bedroom, the bathroom or maybe in the living room. Beaming with pride at living in a house her sons built. Indeed, Richard, Glenn and Stan had worked with the church to construct a wonderful modern house for Mom and Dad on the church compound. I can remember the warm feeling I had pulling up in the front of the house on my many visits over the years, knowing the comfort, love and hospitality that awaited me inside. Mom absolutely loved music, all kinds (except maybe Little Richard!). She would be absolutely mesmerized by certain classical pieces, country songs, hymns and folk music. She especially liked to hear George Beverly Shea, the Cliff Barrows choral arrangements and Tedd Smith’s piano on Billy Graham recordings. Another favorite was the rich baritone of Tennessee Ernie Ford. Though gospel music was perhaps her favorite, she used to dance around to Sousa marches and Strauss waltzes. I always thought it tragic that she did not get the opportunity to develop her musical talent completely. I will always remember her playing “Star of the East” on the piano which she did sensitively and artistically. Mom was always open to new music – new artists, new instrumentation and new songs, and I always knew I had a receptive and appreciative listener when I brought something new for her to listen to. She was so proud of any music her children made, especially Robert’s wonderful piano playing. It’s too bad that her passing predated my wonderful collection of music in my iTunes library. I would have loved to present her with a loaded iPod and some speakers to play it aloud on. She would have absolutely loved the variety and the new music in my collection. I can’t say how many times I have thought to myself when hearing something new – wow, Mom would have really loved this song. 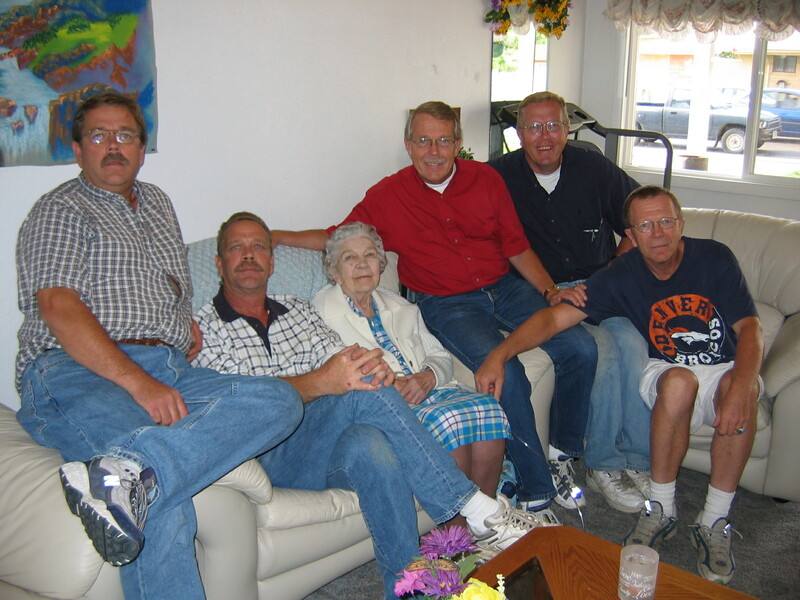 Mom had incredible faith – in her God and in each one of her children. 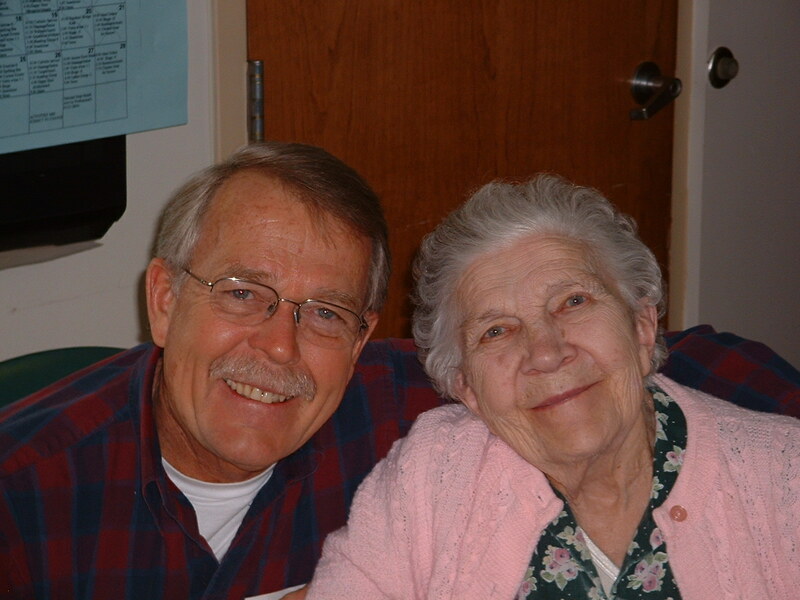 She always had hope and faith that Dad would get over his Alzheimer’s Disease. She had faith in each one of her children, that they would be successful and find happiness. Most of all she had a staunch faith in God – reading the Bible and praying regularly. She had faith that she would see Barb and Dad again when she passed away and that the whole family would be together again in heaven someday. Mom also had a remarkable capacity to forgive. After fights, serious differences of opinion and hot tempers, she always was the first to forgive. She totally forgave me for the difficulties I presented as a teenager and for my marital difficulties later. She completely forgave Dad for serious neglect for much of their marriage and was totally and passionately in love with him during their last years before Alzheimer’s slowly took him away from her. After collecting random credits for courses taken since the 1940’s Mom was finally presented with a college diploma by Alma White College, the church college, in 1980’s. She accepted it with pride, considering that she had raised eight children and struggled against all kinds of obstacles for all those years. There were some sad memories also. I had serious arguments with her and hurt her grievously with my quick temper, sharp tongue and profanity. Mom maybe was too lenient in disciplining her children and applied discipline more as guilt and shame than as hard rules and consequences. During serious emotional crises often the best she could do was to say, “Please pray about it”. She gave me too much emotional baggage to carry as a young boy but neglected and lonely from an often absent husband she needed the shared confidence and support. But even considering all this, I am sure she did the best she knew how with all of us and of course had the faith that all would turn out well in the end. 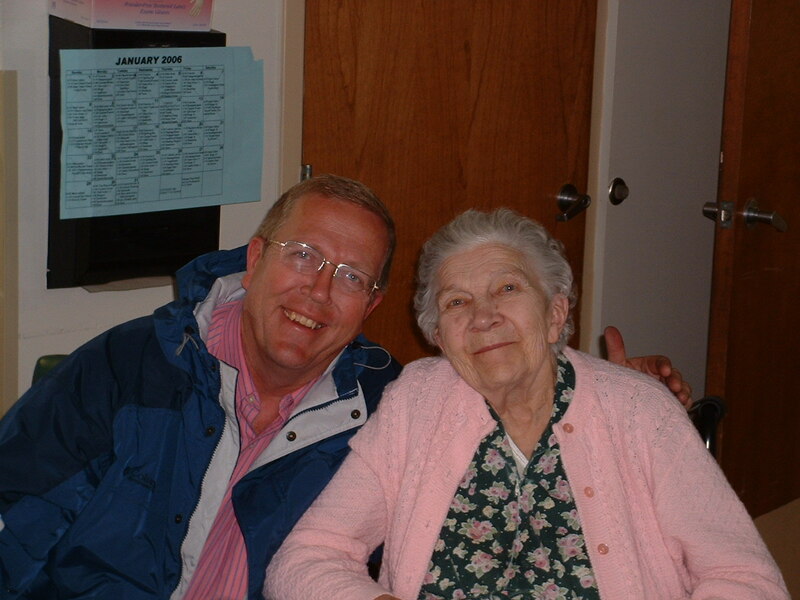 Ida Marie Friedly passed away on October 10, 2006. She was a wonderful mother and I miss her terribly. I am sure my brothers and my sister feel the same way and join me in remembering her on this Mother’s Day 2014. Uncle Ralph, Very nice of you to take the time and effort to memorialize your dear mother in this way, and to share these treasured memories with all of us!